Resident represent our client, being treated as an employee of a company which he represents. Thus he can quickly solve a problem on site and eliminate or minimize the risk of damage to their reputation. The main responsibilities of a Resident Engineer are: quick response to a problem, verification and analysis of a defect, immediate contact with a supplier to provide details (photos, shipping parts for analysis, etc.) and common appropriate reaction, regular visits to a facility, participation in regular meetings, maintaining good relationships with plant engineers. The solution reduces costs because the Resident Engineer is always on site and can react quickly to emerging problems. 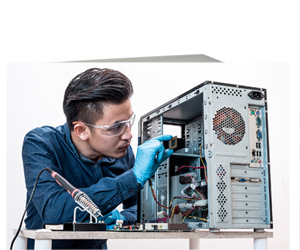 We are offering Affordable Annual Maintenance of Computer Services for our online clients, existing clients and new clients. We are going through amc services from past two years.We are offering repair and maintenance of computer and laptop. We also have been achieving our stringent SLA (service level agreements) regularly in order to provide clients with high uptime and reduce loss due to downtimes.